BACKGROUND: This report updates DoD contractor personnel numbers in theater and outlines DoD efforts to improve management of contractors accompanying U.S. forces. It covers DoD contractor personnel deployed in Afghanistan (Operation Enduring Freedom (OEF)) and the U.S. Central Command (USCENTCOM) area of responsibility (AOR). In 2nd quarter FY14 there were approximately 61.5K DoD contractors in Afghanistan. The overall contractor footprint in Afghanistan decreased by 21.4% from 1st quarter FY14. The contractor to military ratio in Afghanistan is 1.34 to 1 (based on 46K military as of March 5, 2014). New US Forces-Afghanistan (USFOR-A) Fragmentary Orders direct specific contractor reductions. There will continue to be substantial decline in the contractor population throughout the fiscal year, as a result of base closures and reduced requirements. Private security contractors (PSC) perform personal security, convoy security, and static security missions. In Afghanistan, a bridging strategy negotiated between the Ministry of Interior (MoI) and USFOR-A is currently at risk due to a decision by the Afghan Government to dissolve and reorganize the APPF. Operational Contract Support Drawdown Cell (OCSDC). The USFOR-A OCSDC was established in August 2012 with a mission to manage the programmatic drawdown of contracts, the contractor workforce and associated equipment in the Combined Joint Operations Area-Afghanistan (CJOA-A). Through the efforts of its Program Management Integration and Regional Teams, the OCSDC has influenced requirements reduction in the CJOA-A resulting in a decrease of boots on ground contractors. Lessons learned from implementation of the OCSDC are being used to inform future doctrine (JP 4-10) on the OCS Integration Cell concept. CENTCOM Joint Theater Support Contracting Command (C-JTSCC). C-JTSCC has centralized oversight and authority to ensure all contracts executed in Afghanistan are visible and in compliance with contracting policy and procedures. In coordination with the OCSDC, C-JTSCC is evaluating local vendor capability to perform critically needed services previously provided by LOGCAP, but on a much smaller scale. This will ensure support to the warfighter continues while simultaneously reducing the number of US and other country national contractors. JP 4-10 (Operational Contract Support). The Joint Staff J4 is revising JP 4-10 Operational Contract Supportwhich serves as the doctrine for planning, conducting, and assessing OCS integration and contractor management functions in support of joint operations. The joint working group meeting is scheduled for April 8-9 with a target publication date of June 2014. Defense Standards for Security Services. o Business and operational standards for PSCs (which were required by Section 833 of the FY2011 NDAA) are now complete and were validated by the American National Standards Institute (ANSI) in early March 2012. The associated conformity assessment to enable third party certification was published in April 2012. A maturity model, allowing companies and contract management to assess the degree of conformity with the standard, was approved by ANSI in January 2012. Under sponsorship by DoD, the ANSI standard is now being developed as an international standard to be published by the International Organization for Standardization (ISO). 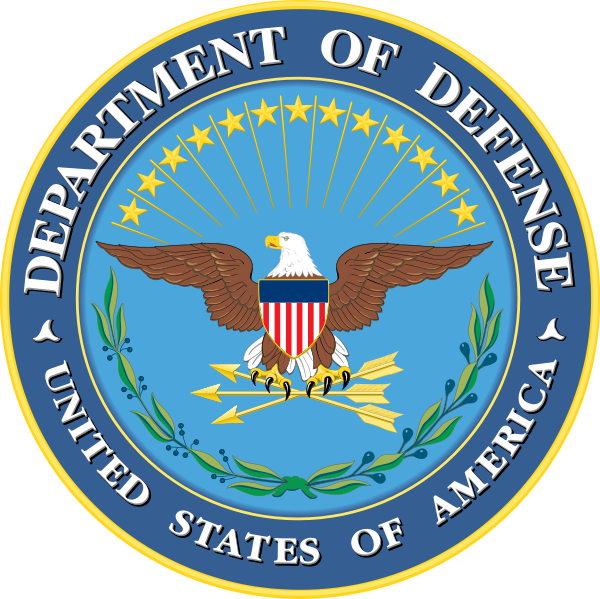 o On May 22, 2012, DoD issued procedures, guidance and information (PGI) to the DFARS requiring compliance with the ANSI PSC standard for combat operations and other contingency operations. Standards and provision for third party certification in Section 833 of the FY 2011 NDAA will facilitate identifying technically acceptable contractors and best value. This will enable expedited contract award; mitigate risk of delay of services due to contract award protests; and mitigate risk of contractor non-performance or misconduct in critical early phases of contingency operations. Conformity assessment standards and the associated maturity model also provide valuable tools for DoD contract oversight. o The United Kingdom has adopted the PSC ANSI standards as their national standard ensuring continuity between the key allies. Operational Contract Support (OCS) Functional Capabilities Integration Board (FCIB). DCMA International presented its DCMA CCAS Transition Concept, in which DCMA will: plan for continued execution of current delegations ending prior to September 2015; identify contracts that continue beyond September 2015 and transition them to appropriate service. SAF/AQC provided an update on Air Force CCAS transition actions, focusing on the Air Force Contract Augmentation Program (AFCAP) milestones. Joint Staff J-4 provided an update on their efforts to: 1) engage with HASC professional staffers on OCS Joint Exercise 2014 lessons learned; 2) evaluate and shape OCS requirements in all operations plans; 3) update the Joint Requirements Oversight Council on OCS Joint Concept implementation; 4) evaluate the OCS Mission Integrator pilot capability at PACOM; 4) publish Joint Publication 4-10 by June 2014. The 3rd Quarter FCIB Principals level meeting will be held on May 20, 2014, in the Secretary of the Army Conference Center. o Participating in joint exercises in 2014 (e.g., PANAMAX, ULCHI FREEDOM GUARDIAN) to integrate OCS in training and assess the effectiveness of OCS plans. JCASO Contingency Contracting Office (CCO): The JCASO CCO provides a joint contingency contracting capability by extending and leveraging DLA’s extensive contracting capabilities while simultaneously complementing the Services’ capacities. It furthers best practices through a programmatic approach, and is expected to focus on humanitarian assistance and disaster relief contract support. The CCO responds to demand signals from Combatant Commands and deployed forces, such as the USCENTCOM Central Asia States (CAS) local sourcing procurement initiative and the DLA-E/A and AFRICOM initiative to help leverage existing DLA contracts and develop new contract solutions that address AFRICOM’s evolving mission. JCASO Planners. Seventeen (17) JCASO planners are allocated among the Geographic Combatant Commands to assist the commander in identifying gaps where contractor support capability may be required. Planners integrate contractor support into operational plans and synchronize requirements with subordinate commands, the Military Departments, Defense Agencies, other USG Agencies, and coalition partners. The planners have been instrumental in integrating OCS into Combatant Command plans. Based on demonstrated need for additional OCS planning capability in USPACOM, JCASO recently established new planners at forward locations in USFK and USFJ. SPOT Configuration Control Board (CCB). ODASD(PS), as the functional sponsor for SPOT, co-chairs a quarterly CCB. This Board evaluates proposed enhancements to SPOT and prioritizes implementation to ensure consistency within funding parameters. 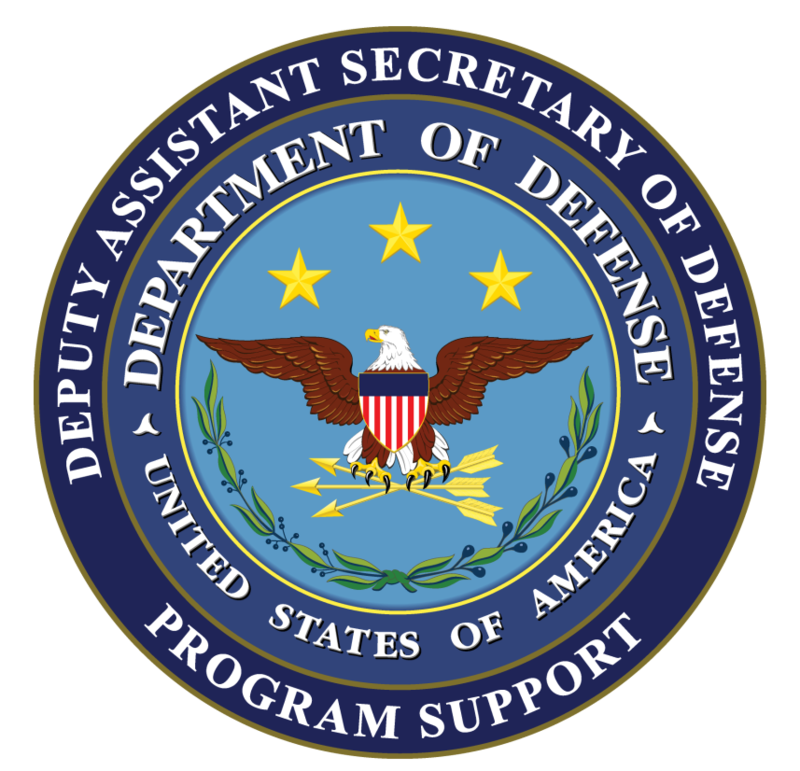 Membership includes participants from across the DoD OCS community, DOS, and U.S. Agency for International Development. Operational Contract Support (OCS) Learning Framework. The Department continues to make progress on the Secretary’s and the Chairman's vision for OCS education and training. Several parallel efforts are underway to incorporate OCS into a holistic learning framework that includes education, individual and collective training, exercises, and lessons learned primarily aimed at non-acquisition personnel. OCS in Joint Professional Military Education (JPME). As reported, OCS has been a Chairman’s JPME Special Area of Emphasis each year since 2009. A 2012 study on OCS education and training observed a general lack of uniformity and depth in OCS content. To rectify this, Joint Staff (J4) OCS and Services Division (OCSSD) developed an OCS Curriculum Development Guide (CDG) to provide specific OCS learning objectives to help JPME faculty create and integrate effective OCS learning into all five JPME levels. Version 2.0 of the CDG, which was completed in October 2012, included authoritative reference material, was distributed to JPME institutions in December 2012. The OCS CDG incorporates distance learning through three Joint Knowledge Online (JKO) OCS courses. The Joint Staff (J4) briefed the faculty of the JPME schools on the FY2013 NDAA language requiring OCS as part of JPME in June 2013 at the Joint Faculty Education Conference. At this point, JPME faculty need time to incorporate OCS into their curricula. The Joint Staff (J4) is reviewing the Joint Combined Warfare School curriculum to make specific recommendations on OCS content needed to meet the CDG’s intent. Lessons Learned. The Department has submitted a comprehensive lessons learned report to the House Armed Services Committee. For tactical and operational lessons learned, the Joint Staff (J4), OCSSD, is the focal point for documenting and processing lessons through the Joint Lessons Learned Program. Exercises. The first ever OCS Joint Exercise (OCSJX-14) was held in January 2014 at Ft. Bliss, Texas. The exercise trained attendees on the OCS tasks for Contract Support Integration, Contracting Support and Contractor Management. The OCSJX-14 scenario was based on a complex catastrophe in the US NORTHCOM area of responsibility. The training audiences were OCS staff members from USNORTHCOM, USARNORTH, US Army Expeditionary Contracting Command's 412th Contract Support Brigade, US Air Force and Navy contracting personnel. Other key DOD stakeholders that participated were; FEMA, USACE, DLA JCASO, DASD-PS, DPAP and NGB. Planning for the FY-15 exercise is underway and is tentatively planned for the USPACOM AOR. Collective and Staff Training. The Chairman’s Joint Training Guidance Notice (CJCSN 3500.01) provides annual guidance to all DOD Components for planning, executing, and assessing joint training for three consecutive years. It includes High Interest Training Issues (HITIs) which are CJCS special-interest items that CCDRs should consider for emphasis in their training and exercise programs. OCS will be part of the Joint Logistics Enterprise HITI in this year’s notice. In December 2013, the Joint Staff (J4) released the Joint Metrics and Readiness (JMR) Guide to assist planners in integrating OCS into joint training and exercises to help ensure realistic readiness assessments for OCS and compliance with Joint Training Guidance. o ODASD(PS), the Joint Staff J4, and Headquarters DA are working to develop a OCS multi-service course from an existing Army course at the Army Logistics University. The course roll out projection date is fourth quarter FY15. OCS Planning. On October 18, 2012, the Joint Staff published the Chairman of Joint Chiefs of Staff Manual (CJCSM) 3130.03 Adaptive Planning and Execution (APEX) Planning Formats and Guidance. The CJCSM 3130.03 sets forth administrative instructions for joint operation plan formats. Specific to OCS planning, CJCSM 3130.03 details where OCS requirements will be identified and by whom. The Joint Staff (J4) is developing a separate manual, CJCSM 4301, OCS Planning, to assist OCS planners in developing procedures and guidance that integrate, synchronize, prioritize, and focus OCS capabilities on achieving a supported commander’s operational objectives and desired effects for various types of plans, including contingency plans. OCS Joint Concept. JROC Memorandum 159-13, 7 October 2013, approved the OCS Joint Concept. This concept envisions that contracted support for military operations will be an interdependent capability of Joint Force 2020 (JF 2020). This concept addresses how JF 2020 can operationalize OCS to optimize contracted support capabilities of the total force partners to achieve operational effects across the range of military operations within acceptable and manageable risk levels. It builds upon ongoing efforts to institutionalize OCS in the present force and proposes a full spectrum doctrine, organization, training, materiel, leadership and education, and personnel capability solution framework to deliver more responsive and accountable OCS. The OCS Joint Concept will be implemented through the inclusion of concept implementation tasks in the OCS Action Plan. In April 2014 the JS J4 will update the JROC on the status for implementing the Joint Concept. This is Rajan Khatiwada, a Nepali National now from leading AIM International (L.A.I) LLC, Dubai, UAE writing you this mail. I am extremely sorry for taking your valuable time. We are a professional Manpower Supplier from Far-east Asia, South-east Asia and some of African countries and we have a decade of experience on this. We can supply all the associates including the Senior Project Developer to the Junior Cleaner/labors. We have our government Registered Supply agencies in Dubai, in India, in Nepal, in Philippines and Pakistan also. So, If you need any type of workers from these based countries, we can supply any time. Please, you will take this mail as our proposal. Hopefully, waiting your reply. We are willing to supply the strong and skilled workforce with Gurkha’s security guards and all DFAC Skill workforce to your company 100% LOGCAP experience before Iraq and Afghanistan . Could you update us the recent requirement for Afghanistan and others country operation with hiring procedure. Please.